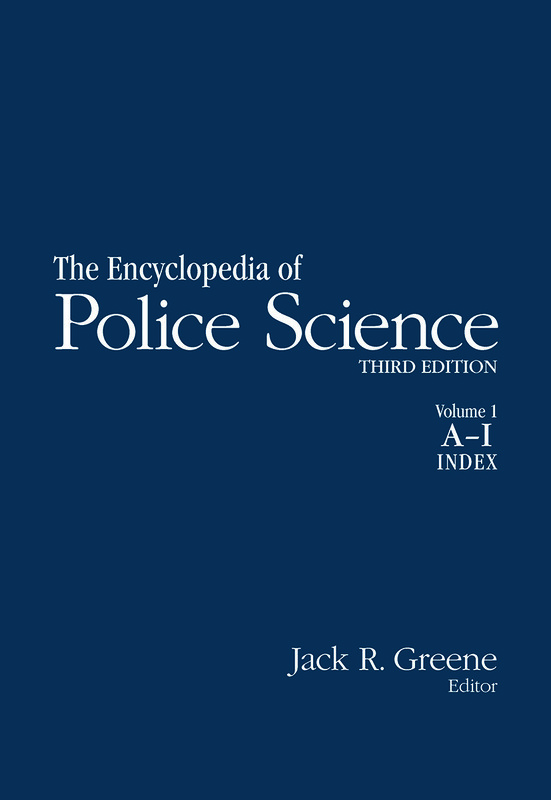 In 1996, Garland published the second edition of the Encyclopedia of Police Science, edited by the late William G. Bailey. The work covered all the major sectors of policing in the US. Since then much research has been done on policing issues, and there have been significant changes in techniques and in the American police system. Technological advances have refined and generated methods of investigation. Political events, such as the terrorist attacks of September 11, 2001 in the United States, have created new policing needs while affecting public opinion about law enforcement. These developments appear in the third, expanded edition of the Encyclopedia of Police Science. 380 entries examine the theoretical and practical aspects of law enforcement, discussing past and present practices. The added coverage makes the Encyclopedia more comprehensive with a greater focus on today's policing issues. Also added are themes such as accountability, the culture of police, and the legal framework that affects police decision. New topics discuss recent issues, such as Internet and crime, international terrorism, airport safety, or racial profiling. Entries are contributed by scholars as well as experts working in police departments, crime labs, and various fields of policing.